The Easter Bunny is set to arrive a little earlier than usual this year. That means we have to start now to get ready for him! To help give you a head start we selected some of our favorite Easter products. Here are this week’s Items We Adore: Product Picks for Easter. 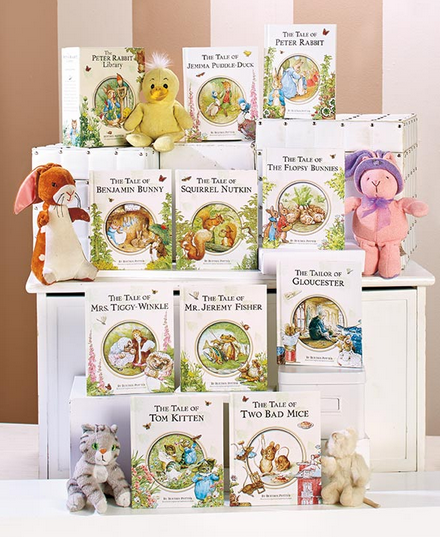 Peter Rabbit 10-Book Library Box Set belongs in every child’s library. The collection is filled with wonderful stories featuring Beatrix Potter’s best-loved animal characters. Each book contains a different, exciting and adorable story with a meaningful lesson. Sure to create fond memories that your child will cherish. 6-3/8″W x 7-3/4″L. Hardcover, 29 pages, each. For ages 3 and up. Add charming critters, fun patterns and vibrant colors to your home with the Welcome Spring Collection. Display appetizers, snacks and more on the Bunny Cake Plate (10-1/2″ dia. x 3-1/4″H). The Treat Jar (6-1/2″W x 10-1/4″D x 12-1/2″H) gives you quick access to a cookie or piece of candy. The Salt & Pepper Shakers (approx. 1-3/4″ x 2-1/2″ x 3-7/8″, each) are a practical addition to your dining area. Serveware and kitchenware, dolomite. All serveware and kitchenware, dishwasher safe. A Pastel Tablecloth adds beautiful colors for cheery table settings. Cotton. Machine care. Our exclusive 3-Pc. 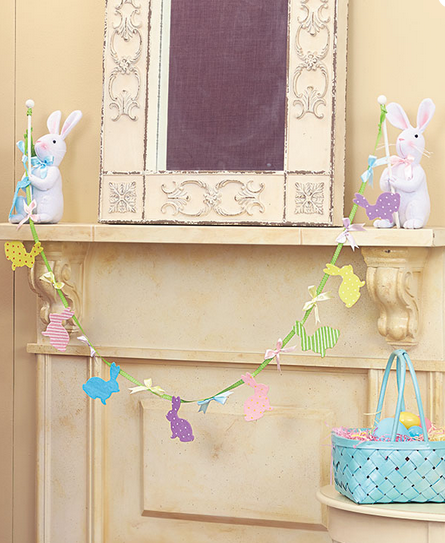 Easter Garland Set features 6 ft. of garland held on either side by 2 sand-weighted polyester bunnies (approx. 11-3/8″H, each). Add a pop of color to your walls the Bunny Ribbon Wreath (13-1/2″W x 24″L) with its wire frame that easily folds for storage. Polyester and metal. Ready to hang. All fabric items, imported. 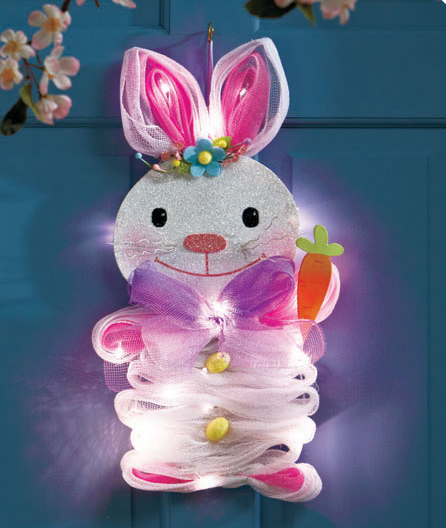 Celebrate the Easter season with a Lighted Geo Mesh Bunny or Chick. It features 15 white lights intertwined in the mesh that makes up its glittered body. Requires 3 “AA” batteries. Our exclusive Bunny, 20″ x 12″ x 3″. Chick, 18-1/2″ x 16″ x 3″. Polyester, foam and metal. Comes ready to hang. 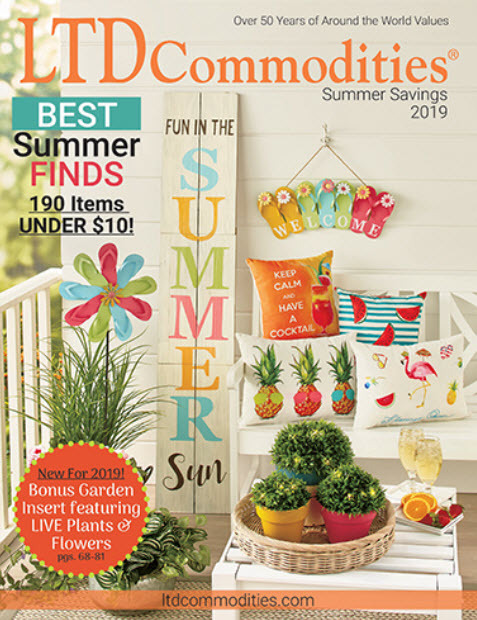 Update your outdoor or indoor garden decor throughout the year with the 13-Pc. Monthly Flag Set. 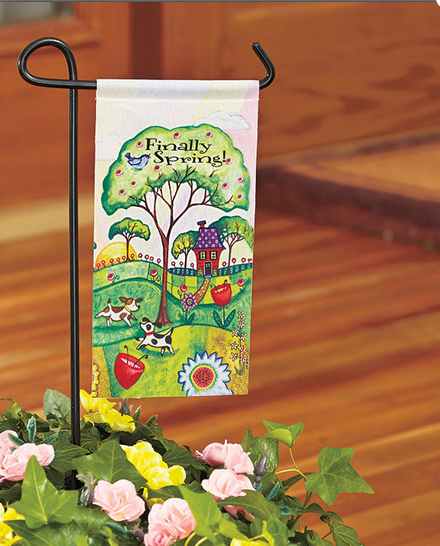 This festive set features a flag for each month with lovely artwork and a cheerful greeting. 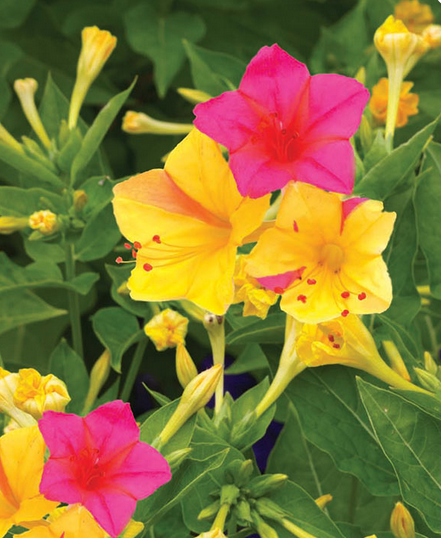 It’s the perfect size to accent any potted or low-growing plant. Polyester and metal.